Portable phone/device chargers can seriously come in handy. Especially if you have zero access to either a wall or car charger. How many times has this happened to you? Have you ever heard of the Nox Power Premium Phone Charger Power Bank before? 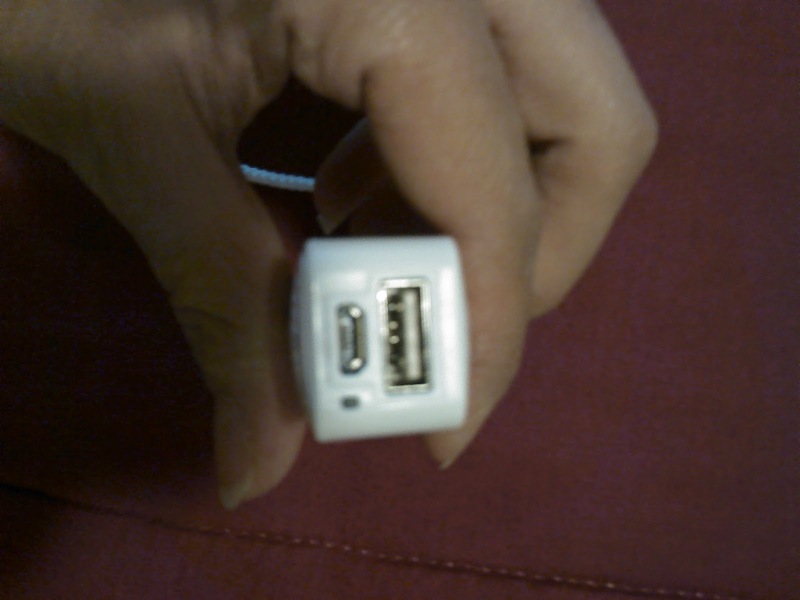 This is the USB adapter cord with multiple heads to plug into various phones and devices. It can also be used to charge the power bank. This power bank works perfectly with my phone. This is what the side of the power bank looks like, where you can plug it into the USB part to charge your phone or other device. The smaller slot is the part that you plug in to charge the power bank on your computer or wall adapter. My phone goes wherever I go. This charger is very nice and not too heavy or too big. It can be attached to my keys which makes it even easier to find in my purse. It doesn't take a long time to charge the power bank and it charges my phone or multiple devices quickly. I've used this charger to charge all of my relatives' phones, in my household, my son's tablet, and his iPad. I had no issues charging any of those devices. This is such a good idea to have around since I have been out with my little boy and his tablet or his iPod have died. Not fun when I'm trying to keep him occupied while I'm running errands. With this charger I can charge all of our devices no matter where I'm at. It's okay to not be in a car or near an outlet on the wall. I can literally be anywhere at all, and as long as my power bank is charged, I am able to charge my stuff up. Very nice! Purchase your own NoxPower Bank on Amazon!